The clever people at Boka Food have found the perfect solution for delicious snacks with less of the guilt! Introducing the first four green traffic lights cereal bar, each bar is low in sugar, fat, saturates and salt – the categories that count! Also, the bars are under 100 calories and high in fibre. Boka’s mission is to help people make healthier choices without compromising on taste by using the traffic light label system (the FSA’s front of pack guidelines). The Boka bar is the first in Europe to feature four green lights front of pack. This sets them apart from many competitors which hide their high sugar and fat content behind complicated food labels making it confusing for customers. The Boka bar is an ambient product, with a good shelf life, perfect for vending. All Boka bars are in line with key health guidelines supporting sugar reduction and healthier living. Boka bars are fully CQUIN compliant, popular in hospital vending, within foodservice for companies running healthy eating programmes and healthy vending. 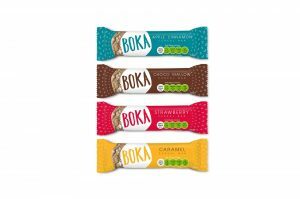 Boka bars are now available in a growing number of college and universities satisfying the changing tastes of students and their interest in healthier eating. The Boka bar is also suitable for the leisure and sports sector due to popularity with parents as the Boka bar meets criteria set out by the Public Health England programme Change4Life. Boka’s mission is to make healthy taste and look delicious, using their signature bright gloss packaging to stand out to consumers and make it easier for them to choose a healthier snack. Boka are committed to making further positive changes in the snacking sector by continuing to develop their product offering and aiming to use fully compostable packaging by mid 2019. Come and say hello to Boka. We will be on stand H5 at Vendex North. The show was great for us. 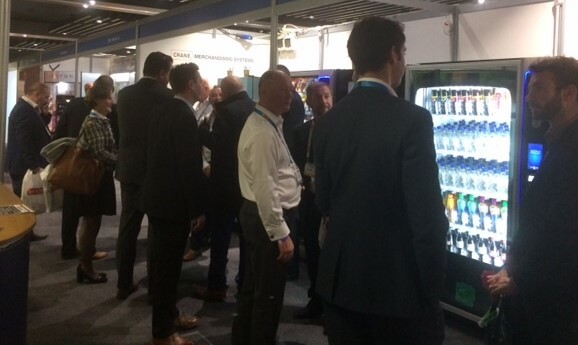 I’ve been particularly looking at healthy vending and it’s been great talking to all the brands. It’s been a worthwhile day and I’d 100% come again. Best yet – had a real energy about it. As usual, we found the show very useful and many contacts made. What stood out for me was the amount of key customers that attended the show. We saw Operators, buyers and end users. Vendex was a great show to exhibit at. We had lots of positive feedback. A great exhibition for Excalibur, was probably the busiest ever! It ticks all the boxes. Very friendly, busy and lots to see. Good to interact with the industry.